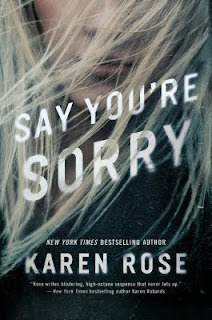 This was the first novel I've picked up from Karen Rose and it was very entertaining. The twisted storyline kept me on my toes, and I always enjoy a good badass female lead character. Daisy was really fun and I loved following her through the ups and downs of the novel. I also loved the mix of romance in the novel as well. The writing was a little cheesy for me at times, but I was able to get over that because there was so much action and adventure going on. All in all, it was a really entertaining read. I think I would have given it 4 stars instead of 3 if it was just a little shorter and had less of the cheesy interactions between characters. It was a fun read and I would recommend it to readers who love suspense novels with a touch of romance.